The Valpak Blue Envelope is still one of the most affordable and effective ways to reach consumers all over the greater Green Bay area. Valpak of Northeast Wisconsin utilizes a shared mail concept making mailing to tens of thousands of households affordable to businesses of all sizes. Mail every month or seasonally and choose from a variety of engaging print formats, such as coupons, flyers and cardstock. Valpak’s multichannel marketing campaigns drive results, all of which are laid out plainly in our performance tracking dashboard. Get daily, weekly and monthly reports on the clicks, calls, prints and other engagement measurements generated by both your print and digital campaigns. We also offer call tracking so you can know how well your campaign is performing by hearing what your customers are saying about your business. 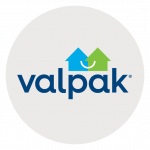 Call Valpak of Northeast Wisconsin to reach out strategically to the households most valuable to you in Green Bay, Appleton, Oshkosh, Sheboygan, Fond du Lac and surrounding WI cities. “We have seen a lot of customers who wait until they see a coupon to give us a call. For example, if they are waiting for air conditioner season, they will wait until they see our advertisement to call. Compared to some other routes, the results are clear. Valpak is a key part of our marketing strategy”. For specific dates and coverage, contact your Valpak of Northeast Wisconsin representative.